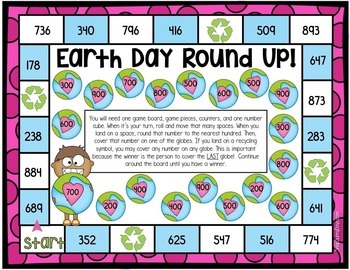 April Math Games - Print and Play! 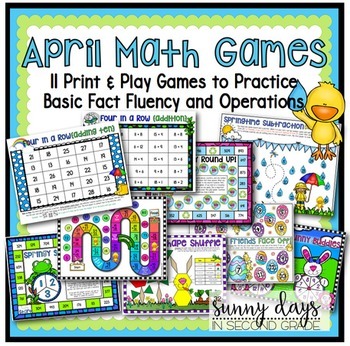 These versatile math games can be used in centers, for enrichment, remediation, small groups, or even homework! These games do not require separate cards to cut and keep track of and most require you only to provide dice. Teacher notes for each game are included. 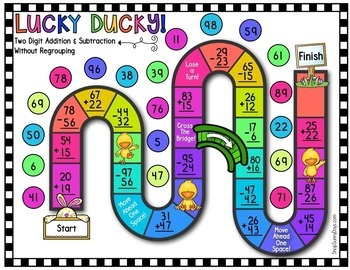 Games cover addition with 2 and 3 digits, addition combined with geometry, subtraction from 20, rounding to the tens and hundreds, addition and subtraction with regrouping to the tens and hundreds place, and more. See the preview for details!